Introducing the Hadley: a dynamic addition to the innovative Innerchoic Series. 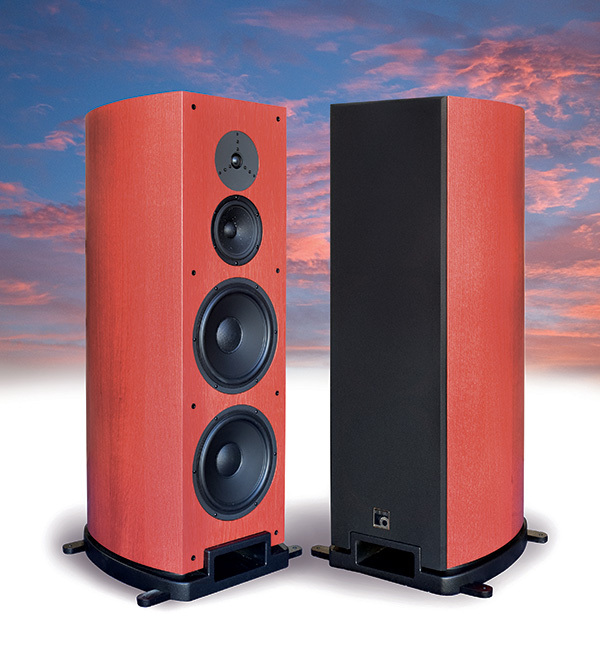 Roughly the height of our very popular Sammy speaker, this robust model has a visceral bass that is deep, punchy and “crunchy.” The Hadley is a dynamic five-driver, three-way loudspeaker featuring four 10” Aluminum cone woofers in dual (compound) loading, tuned at 23 Hz. The advantage of this “double-decked” alignment is that one can use a loudspeaker box half the size otherwise required. Correspondingly, the distortion gets cut in half. PBN’s proprietary Egyptian Papyrus reed cone, hand-made in our workshop.